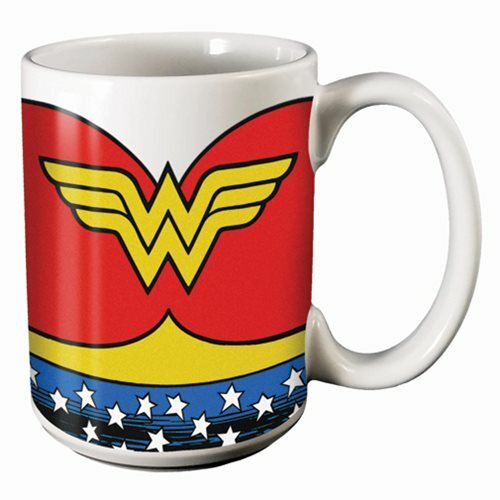 Quench your thirst with this amazing Wonder Woman Uniform 14 oz. Mug! This ceramic mug is a must have for fans of The Amazon Princess from DC Comics. Measures about 4 1/2-inches tall. Hand wash only. Not dishwasher safe. Do not microwave. Measures approximately 5 inches x 5 inches x 4 inches.